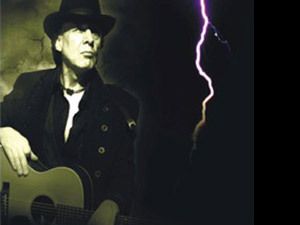 Since the original 25th Anniversary Gathering ticket allocation for The Hall at Venue Cymru ‘Sold Out’ a few weeks ago, Jules Peters and the 21st Century Management team have worked closely with the Venue Cymru Directors to free up the conference centre’s increased capacity ‘Arena’ concert space to allow additional Gathering Weekend Passes to be released this Friday. 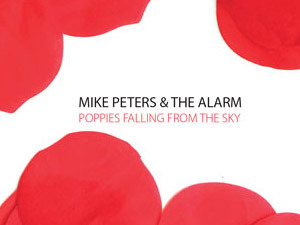 Jules and thealarm.com would like to thank all the team at Venue Cymru for their co-operation in making things happen, so that everyone can come to North Wales and celebrate the music of Mike Peters and The Alarm at The Gathering 25th Anniversary in February 2017. Weekend Passes will go on sale here this Friday at 9.00 AM [UK Time]. 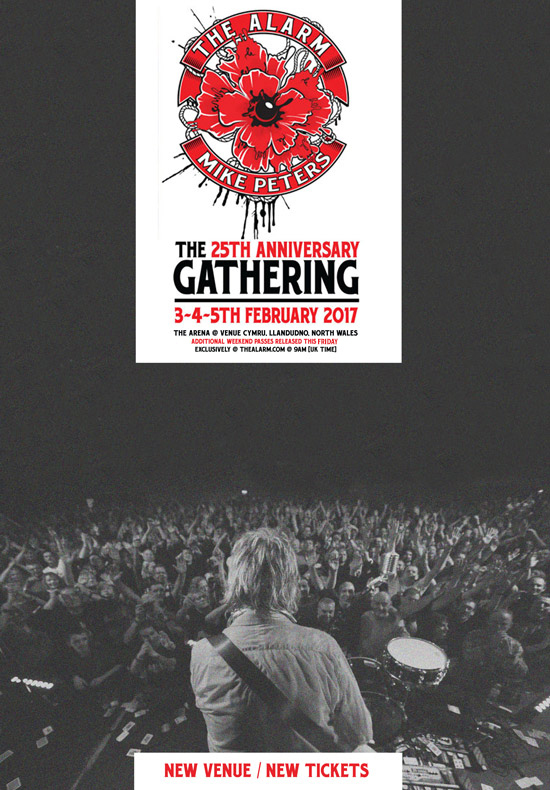 NB: All previously purchased Gathering Weekend Tickets & 25th Anniversary Laminates remain valid.